Centro facial also called the 't zone'. This area comprises the mid-forehead,nose,cheeks and chin.it is most often oilier and prone to open pores but sometimes maybe red, dry and flaky. Periorbital is the area around the eyes and is prone to dark circles. Perioral is the area around the lips and poses problems such as pigmentation,redness, pustules and wrinkles. Lips may show darkening of colour,excessive peeling and swelling. Neck and décolletage areas are particularly prone to discolouration, wrinkles , sagging skin and textural changes. As the clock ticks on there are natural skin changes that are inevitable.However early recognition of these and timely intervention goes a long way in preserving the youthfulness of one's skin and therefore appearance. The next step is to undertand the changes you expect to see depending on your age. The skin is soft, supple and radiant. Hence essential products are recommended such as an appropriate cleanser,sunscreen and moisturizer.Any other issues such as acne , rashes , oiliness are treated alongside with appropriate medicated preparations .Some young individuals do complain of dark circles and discoloured lips and this is often due to wrong habits. Dryness sets in and one notices the appearance of fine lines and wrinkles. There is a decrease in the overall radiance of the skinof the face and eyes. To improve the texture and quality of the skin and prevent accelerated ageing of the skin, appropriate formulations are advised. 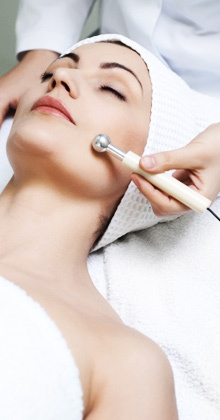 Procedures that can restore your skin's youthfulness are suggested too. There is further dryness and dehydration of the skin Lines , wrinkles deepen. There is loss of skin elasticity and muscle tone. Pigmentation in the form of freckles , sun spots , melasma appear .Hormonal changes show up as dullness of skin and loss of tone. Areas such as around the eyes and mouth need special attention. Heavier moisturizing agents with active ingredients are introduced along with treatments. The main changes apart from severe dryness is sagging of skin around the lower face and jawline leading to jowls.This is due to loss of muscle tone and accumalation of fat.Wrinkles deepen into folds.At this stage products are of limited value and treatments almost always necessary.Our team will present to you all your options from gentle to more invasive depending on your preference. All the above mentioned changes may be present in different degrees depending on your genetics, hormonal changes or illnesses .Once again our approach is to suggest anti-ageing solutions which would combine stronger cosmeceutical agents and procedures. Genetics also determine the quality of the skin but what you have inherited needs to be maintained. A soft, supple radiant skin implies good health .Your lifestyle can also play a major role in determining the health of your skin. A balanced diet and exercise in moderation would go a long way in giving your skin that luminous glow.Smoking, can add years to the face and is an independent risk factor for premature ageing of skin.